3849 Sunnybrae Canoe Point Rd. 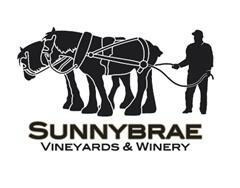 "Sunnybrae" is aptly named and boasts its own unique micro-climate…perfect for growing grapes. The meticulously groomed vineyard is nestled below Bastion Mountain at the back and the magnificent Shuswap lake shoreline. The south sloping volcanic ash land basks in sunshine during daylight hours and enjoys cooling breezes in the evenings. We serve crackers and cheese, Olive Tapenade & Asparagus Spread with Crackers on our Lounge that over looks Shuswap Lake. Check our website for availability & we can ship out of province call or email for a quote.